For some time, I believed Bhtuan was the happiest country on earth. A close relation to nature, a gentle Buddhist philosophy and to top it off: the cradle of Gross National Happiness. Bhutan probably is quite a happy place (and my dream is to travel there). But reading more about national happiness levels, I discovered more and more about another positive outlier: Costa Rica. Costa Rica ranks twelfth in the World Happiness Report list of happiest countries, dominated by Western countries. It even tops the list of the Happy Planet Index, an index that doesn’t only measures happiness, but also adds environmental performance in the equation. Why is Costa Rica, despite its relative poverty, such a happy country? When I asked Google, I got several different answers: the lack of an army, healthy food, a slow pace of life. As I wanted to validate these points in a scientifically completely invalid survey, I also asked some Costa Rican friends of friends and people who lived there for their comments. “General speaking I believe that Costa Ricans are quite positive in their live, even though they suffer from corruption, unemployment, injustice and crime. Why are we still so positive? Honestly I don’t know. Maybe we are born with this mindset.” – R.
“Close contact with the nature and the very very nice weather help to be happy. 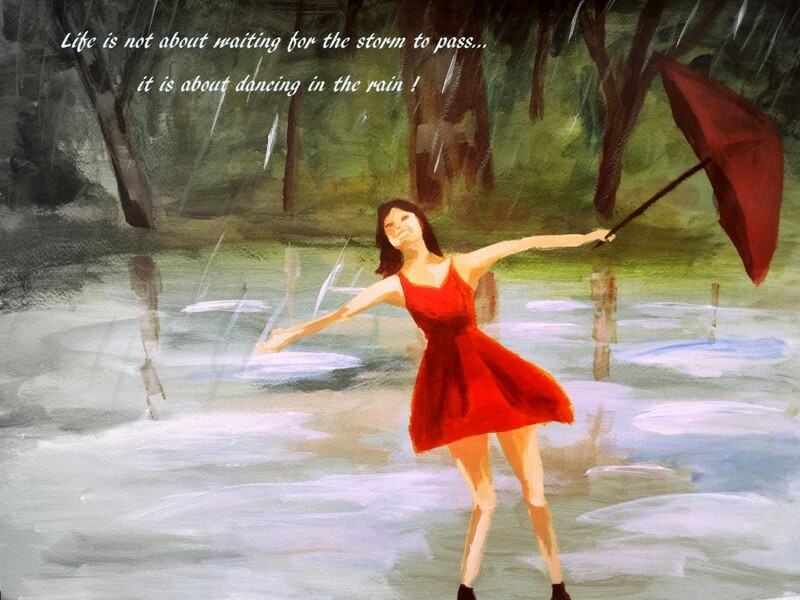 Latin culture and in particular the tendency not to be worry is another important point. They are simple people and they enjoy the life with simple things.” – C.
“We eat healthy food: a variety of fruits, vegetables, rice, beans, eggs, milk, bread, good coffee, not too much meat and artificial deserts, etc.. Yes, nature is generous…” – F.
“Since we don’t have army (we are pacifist), all the money of the State is distributed in education (schools, high schools and universities), health (hospitals, social security), and ecology (beaches, forests, tourism). In my opinion, these three elements are very important to have a ‘quality of life’.” – F.
But one of the key factors, apparently, is what Costa Ricans call ‘Pura Vida’ – a generally positive concept that can mean anything, from hello to thank you and that can be used in happy situations, and even in sad ones. “We have a tendency not to worry…I would even go as far as to say, a tendency not to care. Maybe it’s related to the fact that since we have never known conflict or difficult times as a country, it means we have never really learned to fight for things that are important to us. For example, most people are unhappy with our government and political parties, but no one does anything about it, indeed 35% of the population did not even vote last election.” – M.
“The Pura vida phrase does influence the way to see our lives. 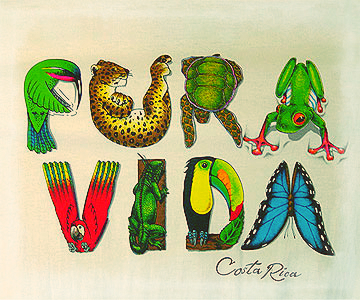 Pura vida is something cultural- we say this phrases a lot during the day. It has different meanings , but all of then positive.” – R.
“Pura Vida to me means to take life carefree: you can fix all problems. If you can’t fix it, don’t worry: life still goes on.” – C.
There certainly are a couple of factors that make it a lot easier to be happy than miserable in Costa Rica: wonderful nature – and a close relation to it, good food. Of course paradise on earth does not exist, not even in Costa Rica. But the basic quality of life is quite good, and the Latin bonus gives another boost. A pura vida philosophy – ready to every situation – does the rest. A pure life: what else do we need?